It was just before the Christmas crowds arrived and officials seized the vessels (centre) which were then moored alongside the Barkoona and her floating jetty (right). The vessels were visible to everyone crossing the bridge from where this photo was taken. They destroyed the dome shape vessel and sold the small one. The report below describes the event. Can you, the reader find a reason for the Maritime action among the following documents ? 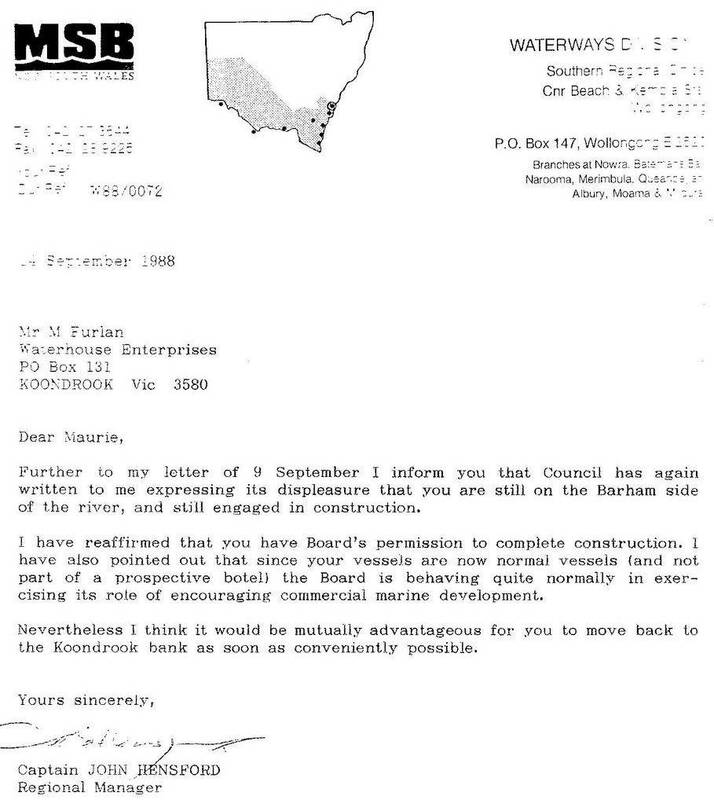 NSW Maritime Regional Manager cancelled our Occupational License and then issued a Notice to remove the vessels from the river. They claimed that I did not comply with their demand given by telephone. 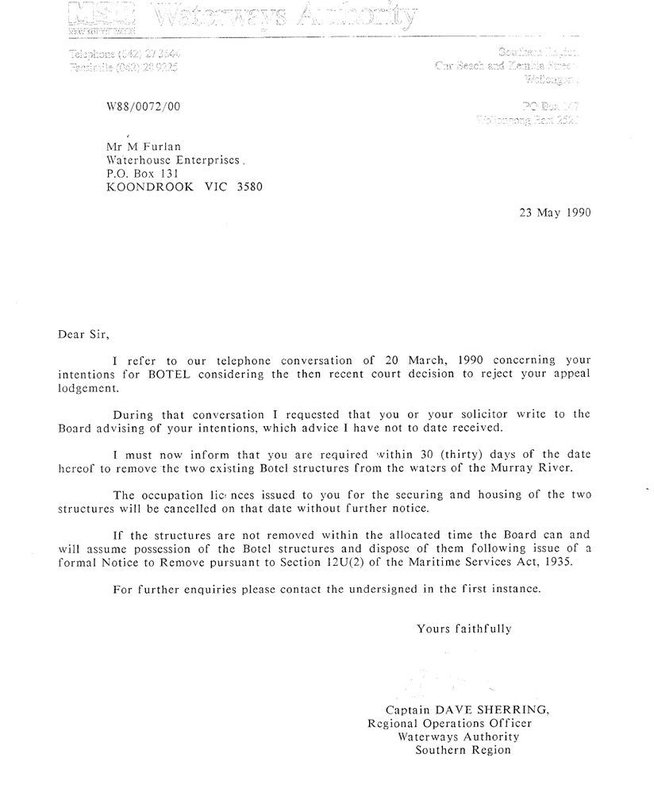 The letter of 23 May 1990, below shows that a conversation took place 2 months earlier in which he made a verbal demand. I told him the matter was continuing. Later I informed him that Karen and I were separated and she had a claim over the property. 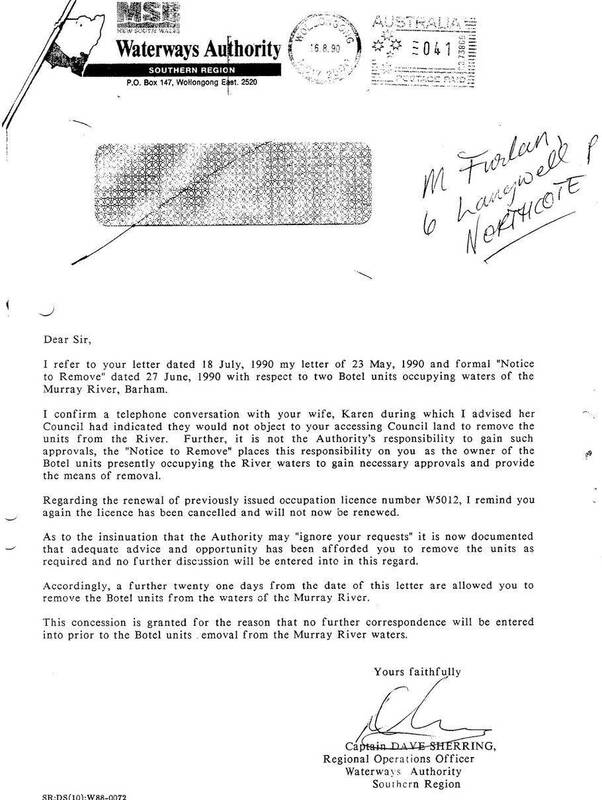 He confirmed in his later letter to me postmarked 16 August 1990 where he calls Karen. 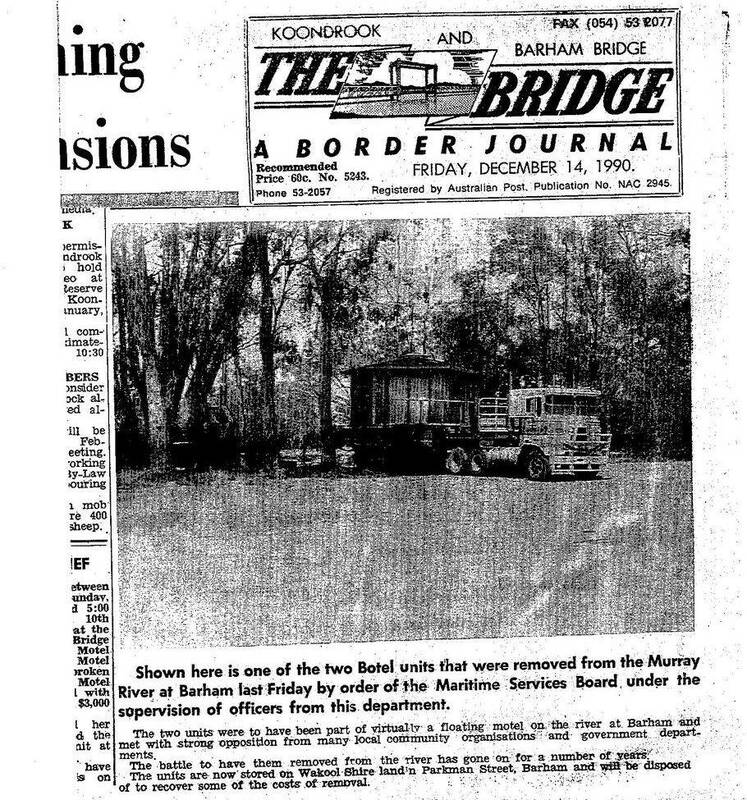 He was particularly aware that the vessels were then subject of property proceedings in the FAMILY COURT OF AUSTRALIA. Here below is my written response about my intentions for the vessels as demanded by Capt. Sherridan by telephone. 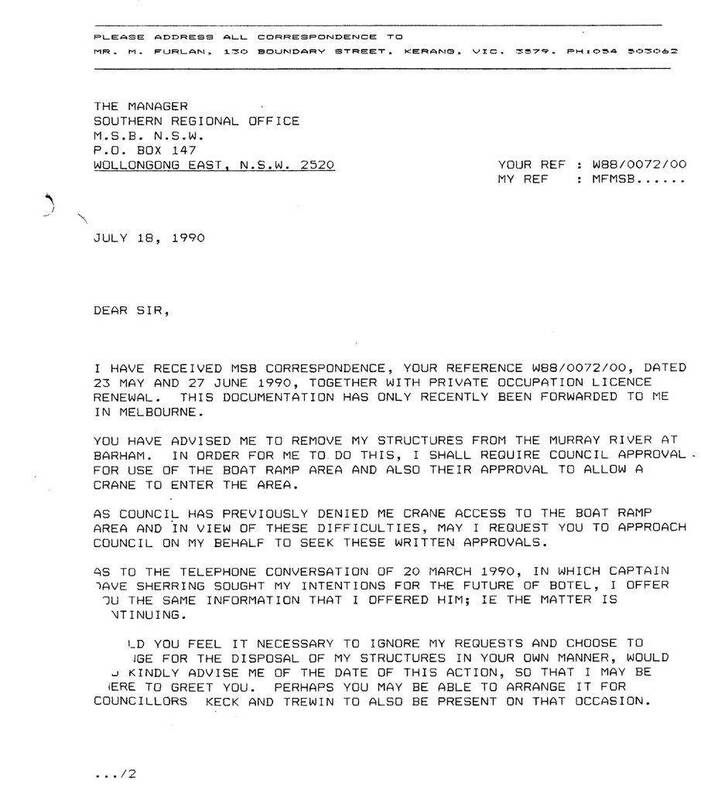 Below is a most contradictory letter from the same maritime parties in which they approve my vessels.